Three years have passed since the July 2013 acquittal of George Zimmerman in the killing of Trayvon Martin prompted Oakland, Calif., organizer Alicia Garza to write an anguished Facebook post ending with the words “Black lives matter”—words that would channel an outpouring of outrage on social media. A year later, the police killing of Michael Brown in Ferguson, Mo., ignited a local rebellion of Black citizenry, and a social movement took shape. That the Ferguson Police Department left Brown’s fatally wounded body on the street for hours encapsulates the disregard for Black suffering that continues to drive protest nationwide. 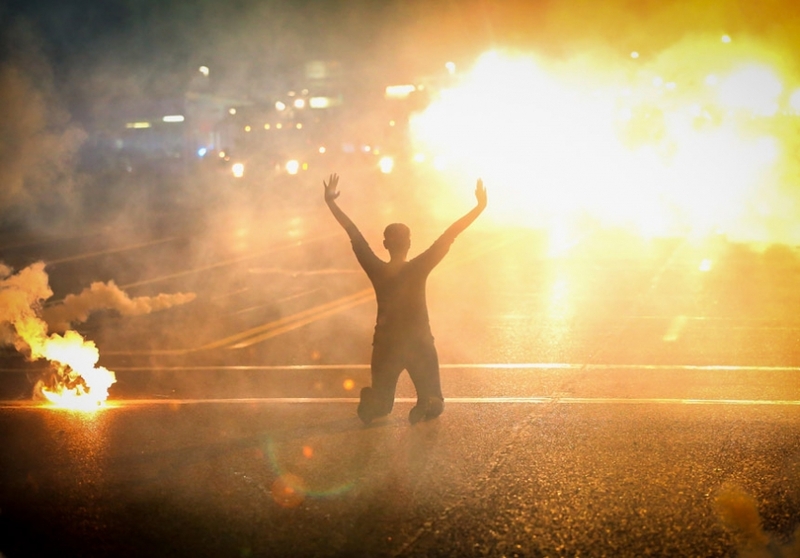 Already, the Black Lives Matter (BLM) movement and the violence it exposes feel like a fixture of our media and social landscape, the images jarring and unrelenting: Tamir Rice, a boy playing with a toy gun, shot by charging police; police chasing middle-aged Walter Scott and shooting him in the back; the cold-blooded execution of Laquan McDonald on a Chicago street; and most recently, the close-range shooting of Alton Sterling in Baton Rouge and the point-blank killing of Philando Castile in Falcon Heights, Minn., as he reached for his wallet, next to his girlfriend, before the eyes of her child. At the same time, the determined, angry, mournful protests nationwide—on interstate highways, on college campuses, in city streets—have become highly visible as the first sustained grassroots challenge to American policing in U.S. history. Despite the media’s reductive framing, the movement is far from single-issue. If Bernie Sanders’ presidential campaign sought to revitalize an electoral Left, BLM—along with the immigrant rights struggle and the Fight for $15—is reminding us of the power of mass action, moral outrage, youth leadership, civil disobedience, boisterous demonstrations, sophisticated use of media and spirited ideological debate in building a left consciousness and a movement. A closer look at BLM advocacy reveals a more comprehensive approach to social change than the media typically allows. Again and again, BLM has challenged the abandonment of Black communities underlying this wave of police violence. What unites the broad tent of BLM organizations and voices is a frustration with the lack of accountability for police who use excessive force, and with the state’s typical response: a task force or commission report that garners laudatory headlines and leads nowhere. Instead, this generation envisions more far-reaching change, including, even, a world without police. The insistent radicalism of the movement’s demands and tactics place it at the vanguard of a reenergized Left. In late July, groups under the broad umbrella of the BLM movement, including Black Youth Project 100 (BYP 100), BLM DC, Million Hoodies and the #LetUsBreathe Collective, organized a series of nationwide protests that illustrate the movement’s radical ethos. Most targeted offices of police unions, which have shielded police from accountability after they use deadly force. The occupation of these offices, in acts of civil disobedience, led to a spate of arrests. 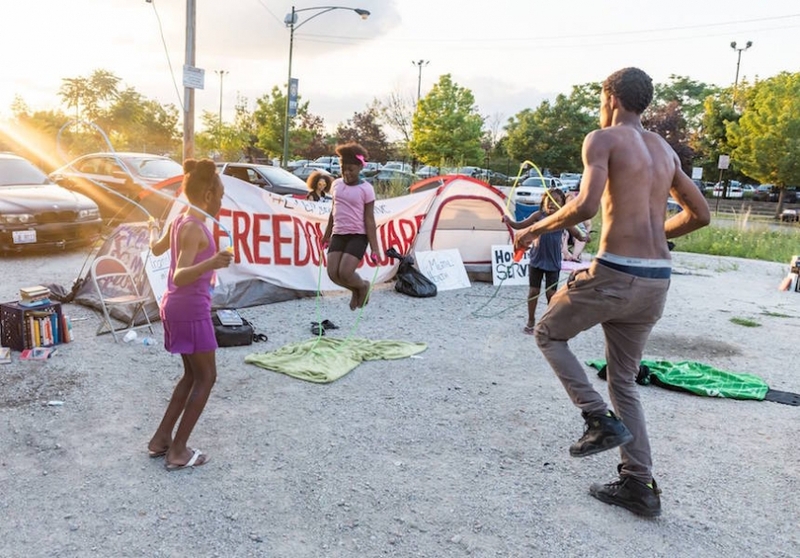 In Chicago, activists focused on shutting down the Homan Square police complex, a notorious “black site” where, according to the Guardian, thousands of people have been secretly detained and interrogated, and some tortured. 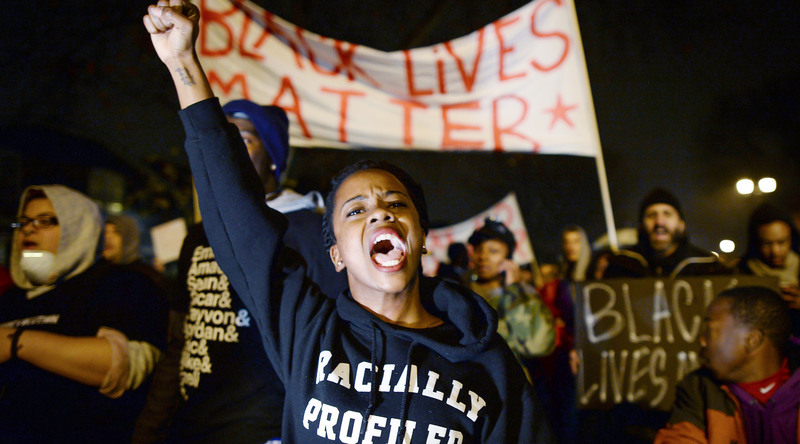 BLM activists march in St. Louis on Nov. 23, 2014, to protest the killing of 18-year-old Michael Brown. As this issue went to press, a dozen or so activists were occupying a lot opposite Homan Square, dubbed Freedom Square. They have pledged to remain until the City Council withdraws a proposed “Blue Lives Matter” ordinance to classify attacks on police officers or firefighters as hate crimes. This defiant Black-led youth movement is the first of its kind since the Black freedom struggle of the 1960s. It’s important, however, to see it not only within the history of Black struggle, but within the history—and future—of the Left. Many may associate the U.S. Left and socialist traditions with white male leadership, a focus on class, and a disregard of race, gender and sexuality, but this is inaccurate and incomplete. Black, Latino and Asian-American activists of all genders have participated in Old and New Left traditions for over a century, waging struggles to press anti-imperial, antiracist and feminist consciousness to the forefront of movements for social change. Major leaders of the civil rights movement identified as socialists, most famously Martin Luther King, Jr. Yet for many young activists of color, the word “socialist” still has a white male ring to it, and the Sanders campaign’s initial fumbling with BLM unfortunately revived this older association. For leftists to assume, based on BLM’s critiques of Sanders, that the movement is a phenomenon apart from the Left, without a class lens and with nothing to teach it, would be a grave mistake. 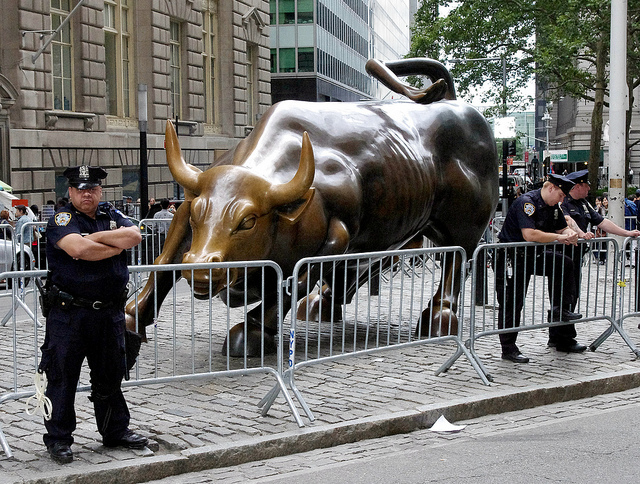 The movement has exposed, for example, how the neoliberal order uses policing to shift the burden of taxation from those with the most to those with the least. Police nationwide ticket the poor to bring in revenue in low-tax jurisdictions. Officer Darren Wilson’s killing of Michael Brown in Ferguson, and the resulting outpouring of protest led to the exposure of the financial entrapment of poor Black drivers and pedestrians. The Department of Justice concluded that every branch of government in Ferguson was guilty of racial discrimination for targeting African Americans with fines and fees. Protests over police killings have also revealed the lengths to which police go to thwart poor people’s efforts to survive on the margins. Police approached Eric Garner in Staten Island while he was selling loose cigarettes; they approached Alton Sterling while he was selling CDs on a sidewalk. Both men were just trying to eke out a living. When Chicago Mayor Rahm Emanuel faced rising calls to resign after revelations of a cover-up in the police killing of Laquan McDonald, Rep. Bobby Rush, a former Black Panther, wrote a letter in support of Emanuel. 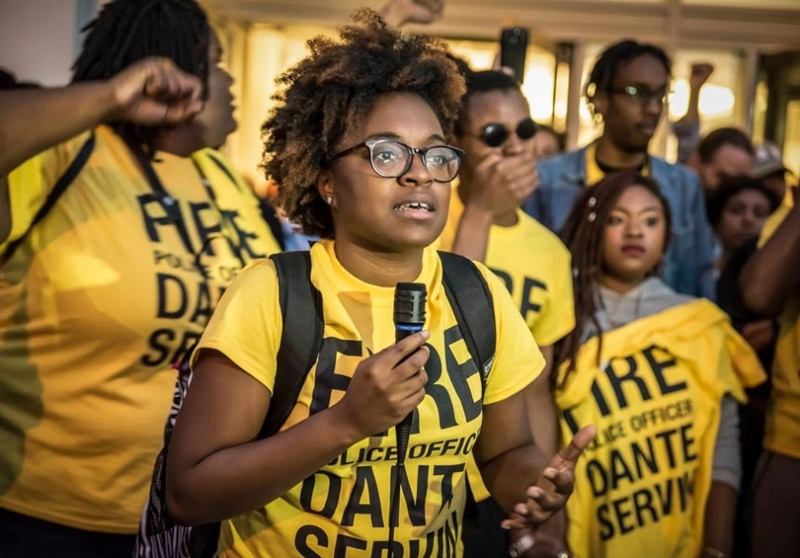 In contrast, young Black organizers led the call for the mayor’s resignation, and attracted multiracial throngs to fill the city’s streets and shut down its highways. This leadership cohort seems uninterested in cutting deals or finding pathways to power. Rather, they are creating a new model of assertive and empowered citizenship for a generation that has witnessed a sharp rollback of civil and human rights. 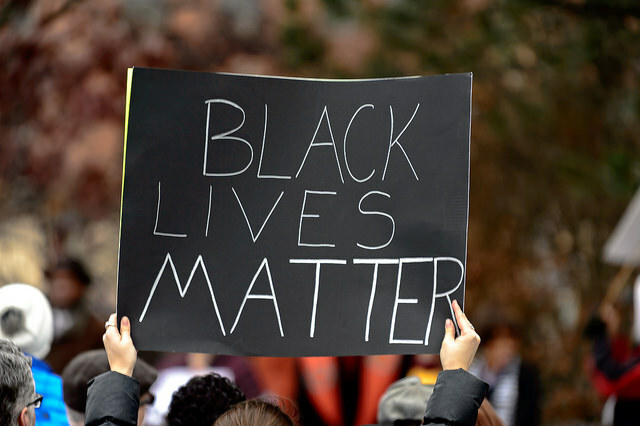 BLM reflects its generation’s experiences with a punitive state. A distrust of public institutions has generated an anti-statist thrust among many activists. Some in the movement do endorse more traditional reforms—Campaign Zero is heavily policy-oriented—but calls to “deescalate,” “defund” and “disarm” pervade BLM discourse, along with even more radical calls for police and prison abolition. This distrust contrasts with earlier generations of leftists who have tended to see government as a redistributive and progressive force, whether in delivering pensions, clean water, the National Endowment for the Arts or Medicare. However, for a generation raised in an era of social welfare cuts, regressive taxation, endless war-making, militarized police and robust prison expansion, an expansive state has been shown to be a menace. Michelle Alexander recently wrote that BLM has made us see police as a “domestic military at war with its own people.” The extraordinary display of secondhand military machinery in the suppression of Black protest in Ferguson opened the eyes of many to the extent domestic police forces have been militarized—even, apparently, President Barack Obama’s. At the urging of activists, he banned the transfer of some types of military gear to local police, including armored vehicles. But after the recent killings of police officers in Dallas and Baton Rouge, leaders of the national Fraternal Order of Police and National Association of Police Organizations met with Obama and reportedly persuaded him to review the order. 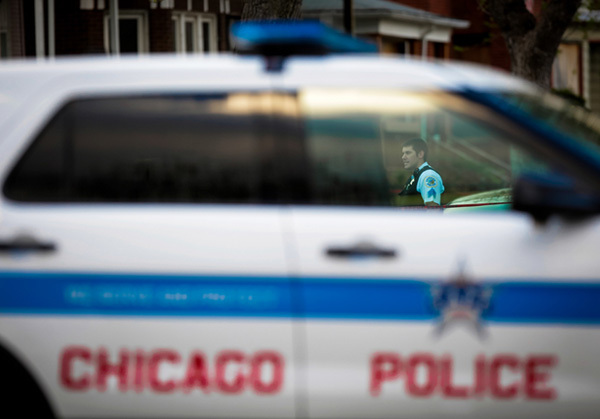 Obama’s willingness to do so reveals the limits of piecemeal police reform and the political clout of police groups. BLM activists have reason to be suspicious. This crisis has produced many ostensible reforms, but as the litany of police killings has shown, none have addressed the fundamental problem of using police to criminalize and contain communities that have been marked as socially disposable. Since 2014, at least two dozen states have passed laws addressing police violence, including the collection of data on police shootings and the use of body cameras on police officers. The latter has been controversial, as some fear that police cameras extend state surveillance and endanger civil liberties. In March, the Justice Department issued new guidelines to states and municipalities in an effort to prevent the jailing of indigent people for the nonpayment of fines or fees. And this summer, state leaders in Louisiana and Minnesota quickly invited the Justice Department to investigate Alton Sterling’s and Philando Castile’s deaths. While skeptical of these narrow reforms, many in the BLM movement combine an abolitionist sensibility with a call to radically transform governance. 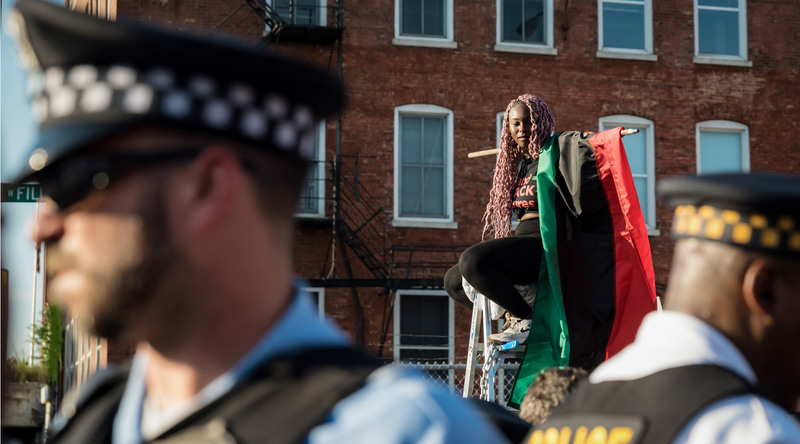 BYP 100 calls for defunding police departments, but it also calls on the state to “fund Black futures” by investing in education, healthcare, job creation and other vital needs in Black communities. They want to create a world “where all Black people have economic, social, political and educational freedom”—a vision of the future that would require deploying the authority of the state to fundamentally redistribute resources. Such an undertaking will require a political movement that involves all sectors of the larger progressive movement. And the robust progressive politics embraced by many young BLM organizers position them to become its leaders. Kush Thompson chains herself to a ladder outside the Chicago Police Department’s notorious Homan Square “black site” on July 20. This new generation of Black leaders has eclipsed figures like Al Sharpton and Jesse Jackson and looks markedly different from its forebears. Demonstrators marched through downtown Philadelphia during the Democratic National Convention on July 26. 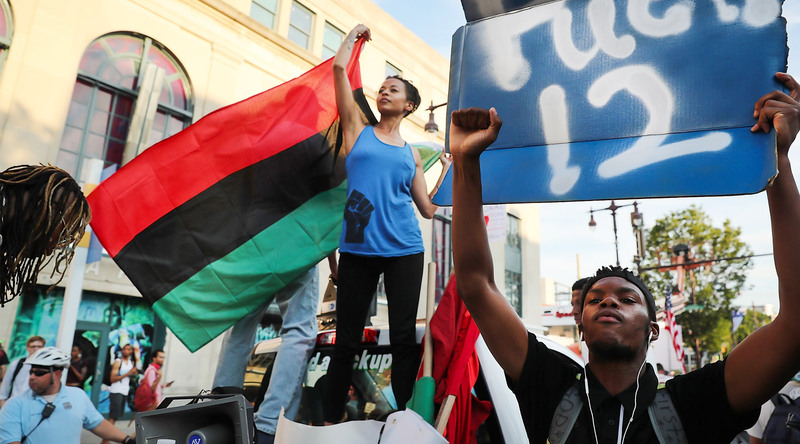 The worldview of BLM’s young activists has been shaped by Black, ethnic, gender and queer studies, as well as their coming-of-age in the era of mass incarceration, neoliberalism, endless wars and globalization. For them, acknowledging the diversity of Black experiences—as much as the quest for Black unity—has been a touchstone of their political education. They are attuned to the particular vulnerability of trans folk, for example, to violent policing. Moreover, they are committed to holding up the experiences and perspectives of Black women, including queer Black women, who are the movement’s visionaries and strategists. The initial founders of #BlackLivesMatter are three Black women­—Alicia Garza, Opal Tometi and Patrisse Cullors. Because of these and other organizers’ insistence that all Black lives matter, we know about the police killing of Rekia Boyd in Chicago and the unjust incarceration of Marissa Alexander in Florida. To some, the term “intersectionality” may seem academic, but BLM leaders have put intersectionality into practice. They’ve embraced a capacious progressive politics supporting prison abolition, gender justice, immigrant rights and critiques of capitalism. Just as the phrase “Black Power” once inspired white fear, anger and rebuke, “Black Lives Matter” has been criticized and misunderstood from its inception. Former New York City Mayor Rudolph Giuliani and GOP presidential nominee Donald Trump have blamed it for racial discord and violence against police. Such vitriolic rhetoric gives cover to many police departments for their heavy-handed response to BLM marches and demonstrations. In Baton Rouge, after the slaying of Alton Sterling, police forcefully broke up protests and arrested scores of protesters. 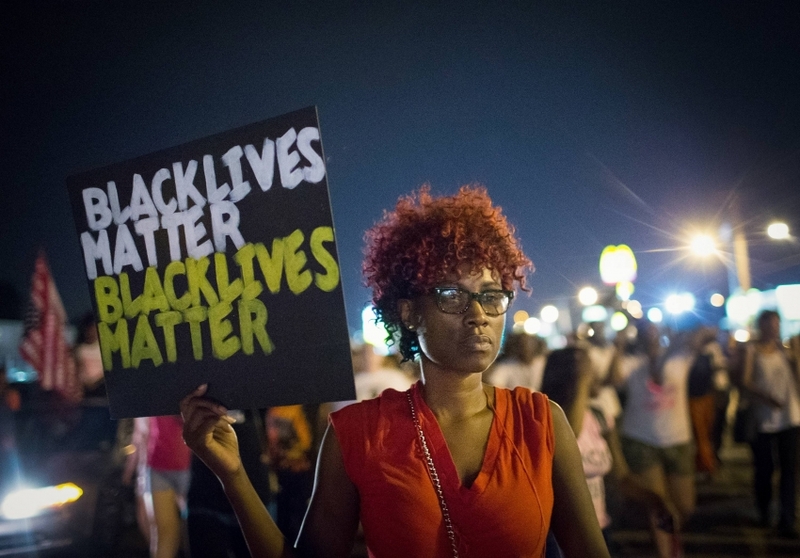 BLM is helping force a more honest discussion about race in America. The movement against police violence has reactivated an antiracist struggle in American cities, a healthy departure from the fog of “post-racialism” in the early Obama era. Moreover, BLM organizations participate in coalitions with other movements and attract significant multiracial youth support for their actions nationwide. At the recent convention of the American Federation of Teachers in Minneapolis, hundreds of teachers marched behind a large “Teachers4BlackLives” banner to protest the police killing of Philando Castile. The movement is pushing educators, legislators and activists in allied movements to more forcefully engage the impact of race and racism in U.S. society. 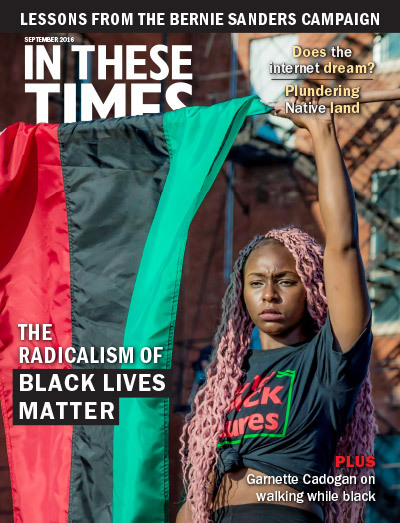 Despite the many challenges ahead and the continuing power of police and politicians to block accountability, BLM has accomplished what no progressive movement has in a long time: It has activated sustained grassroots organizing across the country and provoked a concerted response from those in power. If the movement gains some victories and further shifts public discourse, it will be in a better position to more broadly influence the national left agenda. 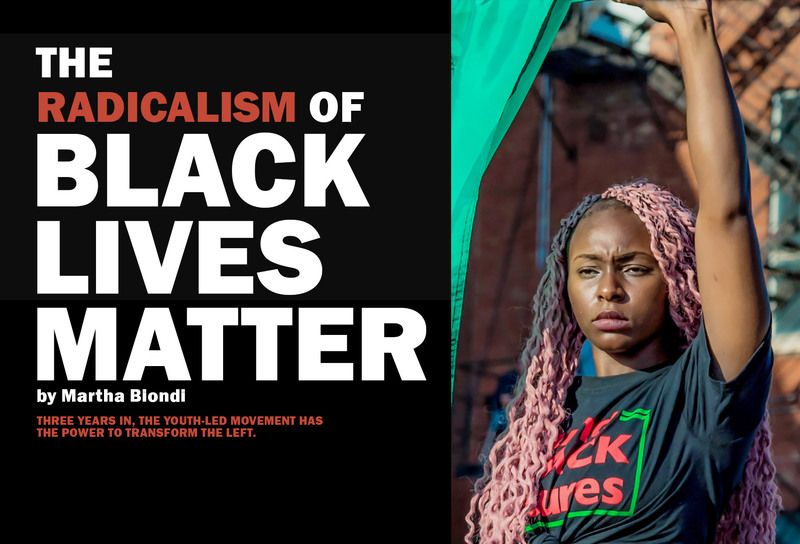 As the crises of neoliberalism continue to unfold and popular dissatisfaction with the major parties persists, we can be sure that BLM will continue to challenge and inspire us with its radical vision. Update: Shortly after this story went to press, a collective of more than 60 organizations from within the Movement for Black Lives released "A Vision for Black Lives," a formal list of more than three dozen policy demands.